I have a love of bacon. No, really. I love bacon. All salty and sweet and meaty. And that’s why I jumped at the opportunity to work with Applegate, the makers of amazing natural and organic bacon. I’ve been known to skip a real dinner and head down with my husband to the local rum distillery to order a cocktail and plate full of bacon-wrapped jalapeno poppers. No joke. It doesn’t happen often, but it does happen … almost often. And at home, when we have guests, I often make little bacon appetizers. Why? Because everybody loves bacon. So I’ll take fresh jalapenos, split them down the middle and stuff them with a blend of cream cheese, cheddar cheese and garlic, before wrapping them in bacon. Other times, I remove the pits from dates, all sticky and sweet, and stuff them with an almond or a bit of blue cheese before wrapping them in bacon, too. Bacon, you see, is my thing. 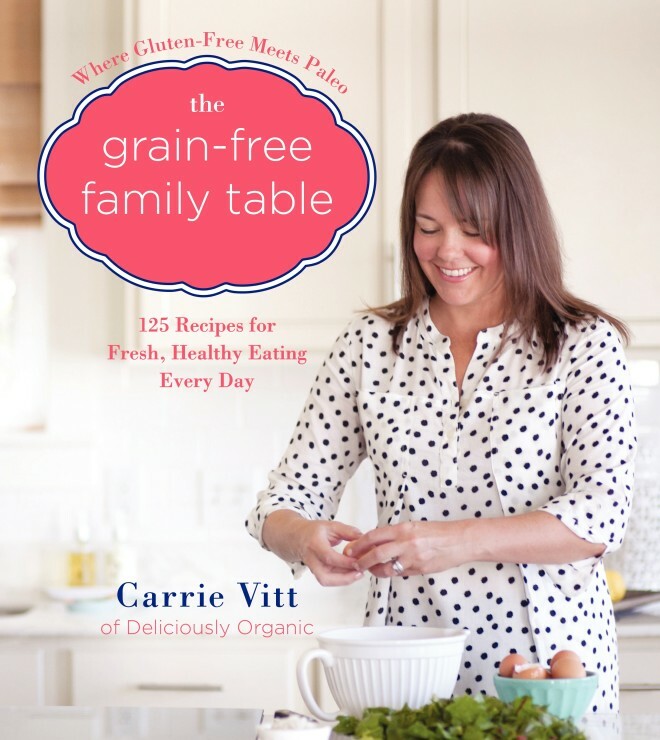 Lately, I’ve been reading and taking inspiration from the gorgeous book: The Grain-Free Family Table by my friend Carrie Vitt who blogs at Deliciously Organic. 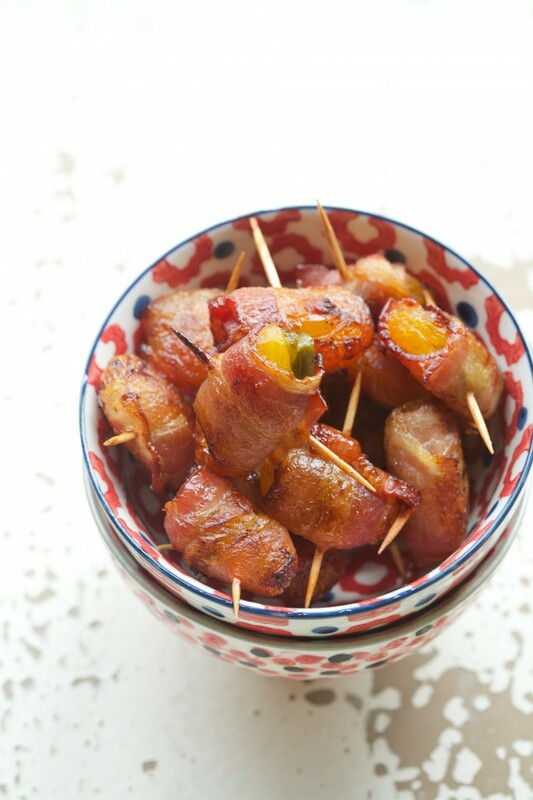 And in there, what did she have but a recipe for Zingers: that is, apricot and pickled jalapeno wrapped in bacon. 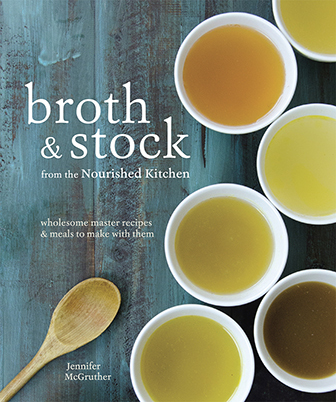 Carrie’s newest book is a beautiful celebration of simple, wholesome real food with recipes like Hot Bacon and Mushroom Dip, Coconut Crepes with Whipped Cream and Strawberries, Maple-Glazed Salmon and Creamy Chicken, Vegetable and Tomato Soup. This is simple, wholesome food. These are not complicated, pretentious recipes; rather, they simply celebrate what the family table should be: an opportunity to sit and eat a nourishing meal with the people closest to you. Sweet and salty with a hint of heat from jalapeno, these tiny bites of apricot and bacon make a lovely starter or snack for guests. 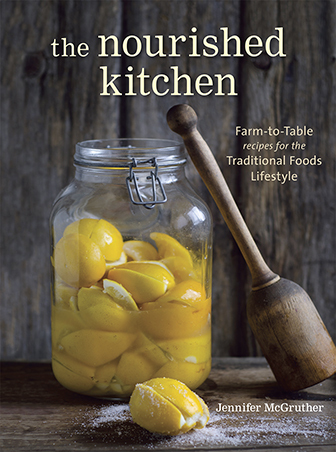 This recipe comes from The Grain-Free Family Table by Carrie Vitt (Harper Collins, 2014). Photos and text are reprinted here with permission. These look amazing and I’ll definitely be making them for my hubby and i. What would be a great replacement for the jalapeños for my toddlers? Pickle slices would be a perfect substitution. I actually don’t think pickles would be the right fit. On this. I would make this for a toddler so that they learn to handle the flavor, but if you avoid heat for your kids, I just would omit the jalapeno completely. They look so good! We’ll have to make them for the holidays! I’m wondering if you used unsulfered apricots? It doesn’t look like it in the pic.. What is your take on unsulfered fruits? We’ve been buying ours through Tierra Farms. Carrie is a good friend of mine…she used the sulphured ones for the photos b/c of the color. The organic unsulphured ones at Trader Joe’s work beautifully. I used unsulphured apricots when I made them. This is Carrie’s photo. Brown on brown is tough to photograph, so I imagine that’s why she used sulphured ones in this like Karin mentions. That one caught my eye, too! I wanted to pin your jalapeno Apricot Bacon wraps but when I click on Pinterest it brings up many many other things but no recipe and no inkling of where to go to find it. If a website does that very often, I stop going there. I hope your IT people will fix that. Hover over the image. Click the pin button. Not hard. No IT fixes needed, just knowledge of how to click. I am not familiar with pickled jalapeno slices; are they available at WF’s or grocery stores? I have a similar recipe that uses dates, stuffed with chorizo or hot Italian sausage then wrapped with bacon and baked. Serve with a red pepper puree for dipping sauce. Same sweet, salty, spicy goodness of flavors! Thanks for this new addition to my appetizer tray! I feel the same way you do about bacon, Jenny, and I love apricots. Pickled jalapeños sounds like just the thing to add some zing! I will definitely try these… someday after my move is completed. I’m about to depart for Utah, so I’ll be practicing high-altitude living again. I hope to be able to visit you one day! These sound yummy! My husband and I own a BBQ food truck and we do bacon wrapped jalapenos. Our mixture inside consists of cream cheese, pineapple, and our dry rub, then we slap them on the smoker. We sell about 60-100 per day. I just can’t get enough bacon. I’m wondering about inserting a little slab of cream cheese along with the jalapeño. Sounds delish either way! Thanks for this tasty recipe! Can’t wait to try it. Sounds delist! What do you think of fresh jalapeños or pieces of roasted shishito peppers?